Protect your equipment, and extend its life, leading to a better return on your investment. 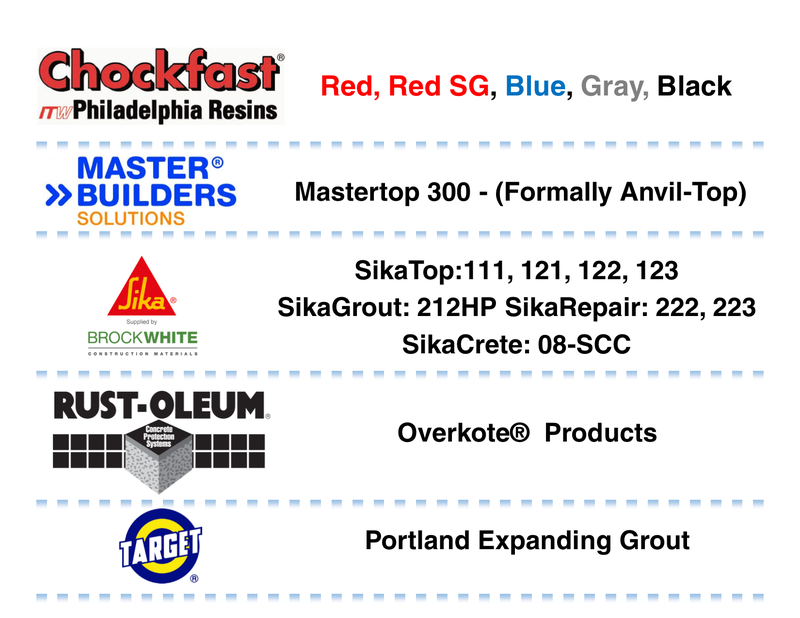 Our grout products are perfect for base plate installations and repairs. We carry a wide selection of grouting products to suit your needs. Contact Us for Pricing and Availability. Protect your floors and surfaces with Rustoleum OverKote® and OverKrete® products which offer superior durability and chemical resistance. We have the solution for every need.